Looking for more ideas on how to spend your days in Paris? You must download our Free 4-Day Paris Itinerary! SPRING SPRING SPRING! 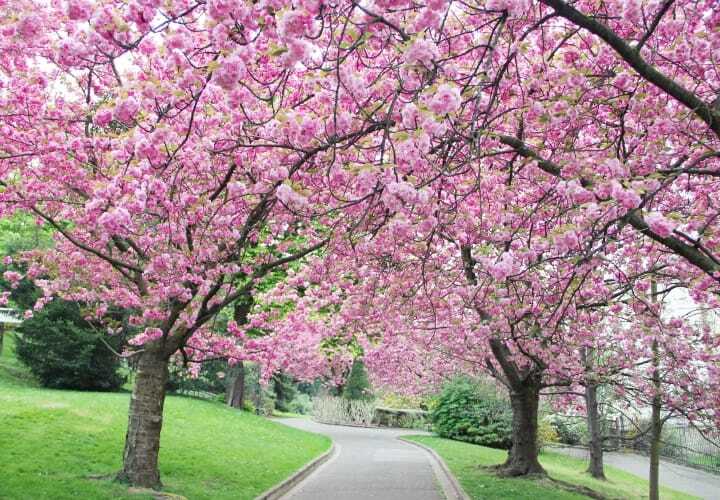 Cherry blossom Paris places are on the to-visit list! 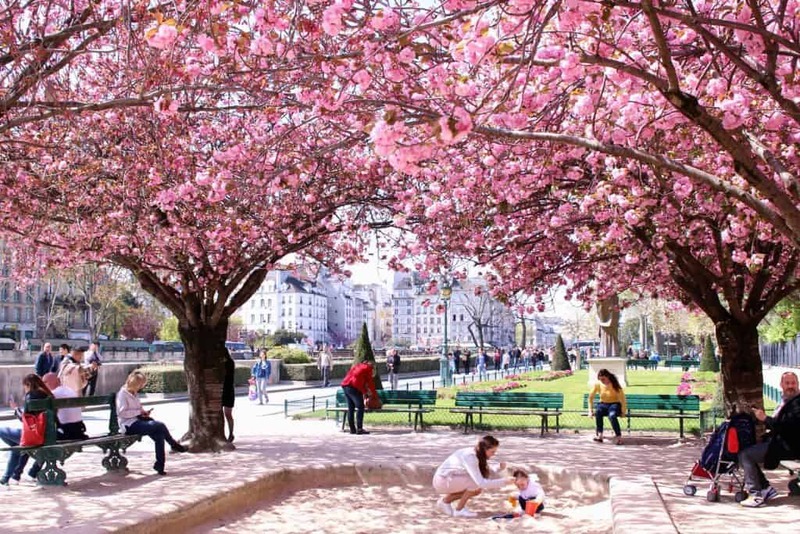 It finally arrives, and even Parisians rush to the parks to marvel at the beautiful pink cherry flowers! 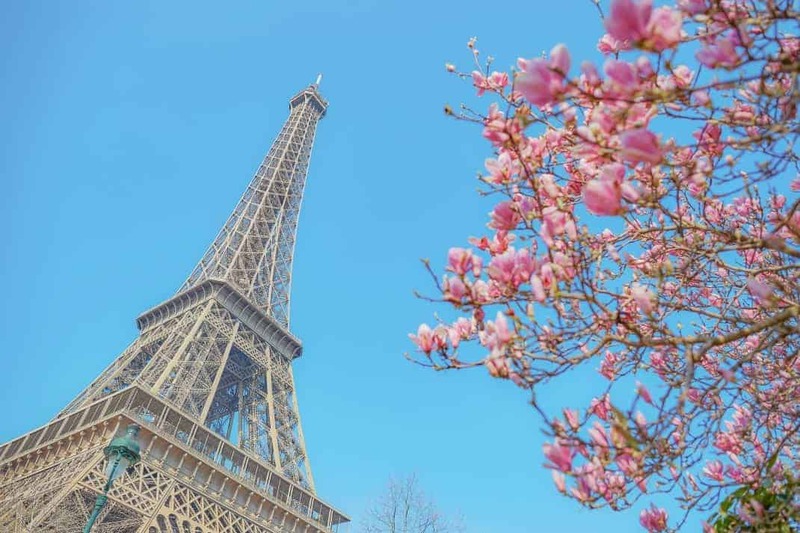 If you are fortunate to visit Paris during springtime, you will find cherry blossom Paris locations are sprinkled with pink! More to the cherry blossom trees outside the Eiffel Tower and Notre Dame, how much do you know about other hidden spots in Paris? 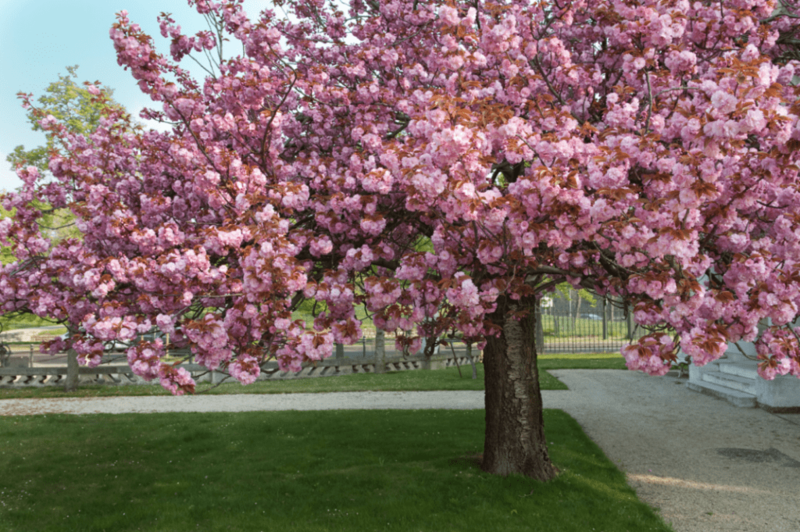 While the other blossoms are still budding, let’s follow INSIDR to discover our favorite cherry blossom Paris places to get prepared! The secret garden at le Petit Palais is just stunning during this time of the year! Feel free to stroll around for Instagram-worthy pictures, or sip some coffee next door at their bar to enjoy life like the French! If you are an art lover, don’t forget that the art gallery is free for you to visit! This beautiful botanical garden is located in the heart of Paris’s Bois de Vincennes, with very convenient access! Just take the métro Line 1 to the terminus then you’re there. The park also has a small area for sculptures created by local French artists, which is worth visiting. As the park is rarely known by tourists, you are free to take a million pictures of the flowers! The park is built in the memory of the famous post-war French poet-singer Georges Brassens. Born in Sète, southern France, Brassens has a low yet emotional voice. Ever since the beginning of World War II when he got his first guitar, the instrument had become the most important element of his musical creation. Although he passed away for more than two decades, he has never left the heart of his descendants! Paris’s 15th arrondissement is a residential area, many locals love jogging in or wandering around this park! There is a small square in the center of La Défense, the western business district of Paris. It is surrounded by cherry trees when spring is around. La Défense has a great cluster of budget and luxurious hotels, whether you are just staying here, or just going shopping in the business district, remember to take some pictures under the blooming blossoms! Located near the border of Paris, in the well-known Bois de Boulogne, it has beautiful greenhouses; the jardin is divided into 4 gardens, French, Japanese, modern, Mediterranean, pick a style you want to visit! If you have more spare time to spend, remember to bring a book to read under the spring blossoms, and experience the wonderful chemistry between literature and flowers. Speaking of cherry blossoms, how we just miss Jardin des Plantes? Here you can see a wide variety of plants, when the spring is in full swing, there will be many flowers in different colors! If you are a gardening enthusiast, or simply love the colorful buds, be there! The park also has a giant natural history museum and a greenhouse, it is definitely worth paying a visit! Known as one of the most dreamy parks in Paris, where you can quietly spend the day for picnics, sunbathing and more! This park is gigantic (in Paris), even in the flower season, you can rest assured to find your favorite romantic corner without having to be packed like a sardine in other parks! Have you ever tried a picnic in a sea of flowers? If you love the French gardens, but too little time to afford to get to Versailles, the Sceaux could be your convenient choice (it also has a castle)! Every April, the park is full of people eating alfresco or enjoying the beautiful view that you can’t get to Paris! You may also spot the Japanese organizing Hanami (a Japanese term for “appreciating cherry blossoms”) sessions to celebrate springtime, or a lot of French people taking advantage of the flower sea for wedding photoshoots (yes they do)!